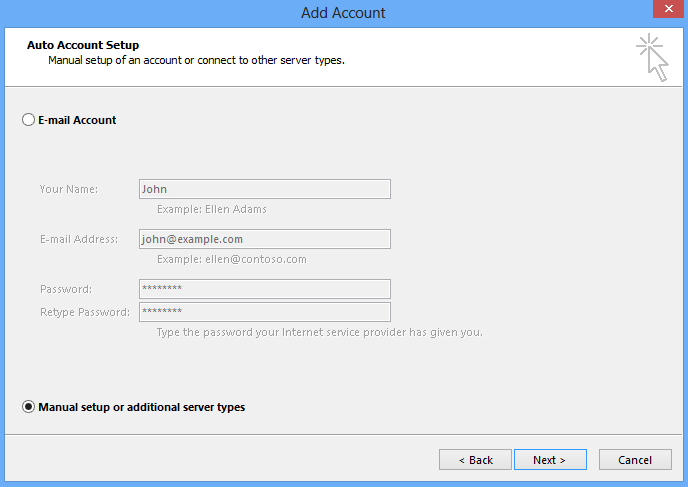 Choose Manual setup or additional server types. Your Name: The name to display on your email. Remember Password: We recommend having this checked. Require logon using Secure Password Authentication (SPA): We recommend having this unchecked. 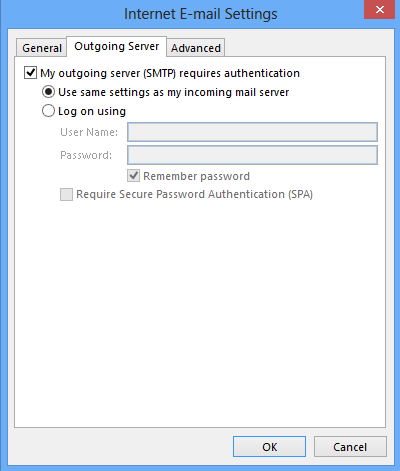 Select Use the same settings as my incoming mail server. Use the following type of encrypted connection (Incoming): Optional. 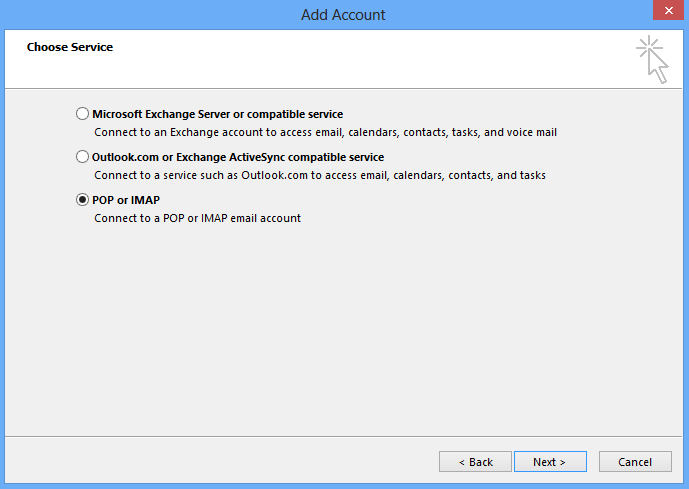 If enabled, change Incoming Server (POP Port) to 995. Use the following type of encrypted connection (Outgoing): Optional. 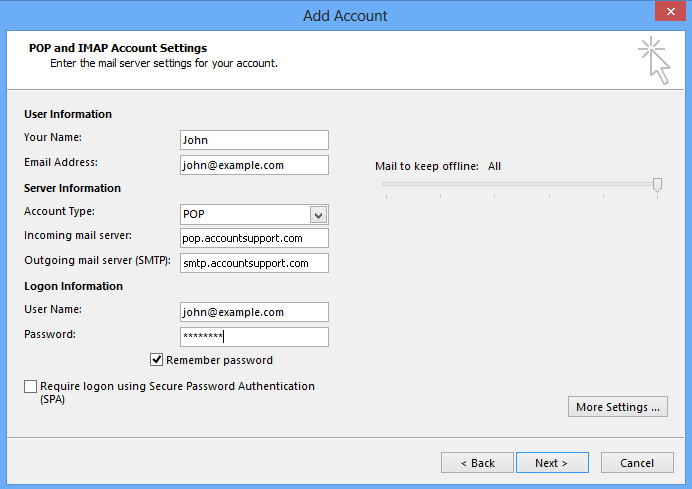 If enabled, change Outgoing Server (SMTP Port) to 465. Click Finish to complete the set-up.